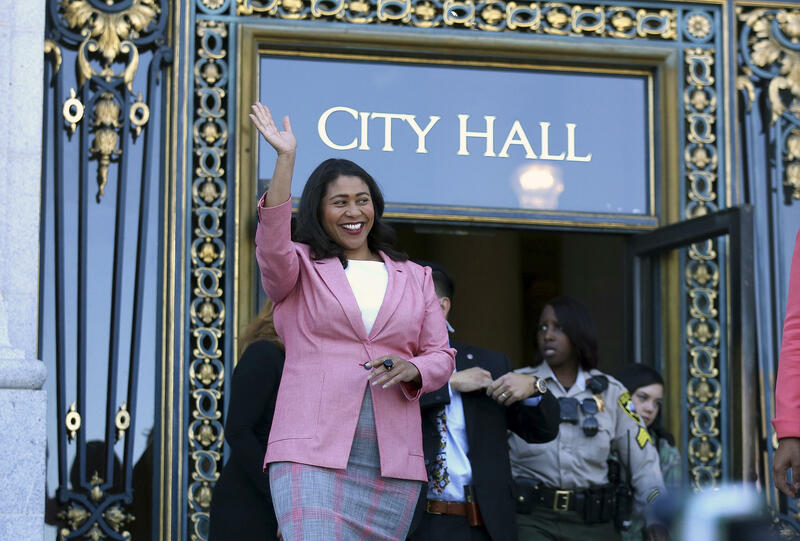 SAN FRANCISCO -- San Francisco Supervisor London Breed emerged victorious Wednesday to become the city's first African-American woman mayor after narrowly defeating a rival who was seeking to become the first openly gay man in the position. It took eight days of counting after Election Day for Breed to build a large enough lead to claim the city's top job. With about 250,000 ballots tallied, she led former state Sen. Mark Leno by 2,177 votes with only about 6,700 left to count. She also said it was time to move on from the often contentious campaign to come together and focus on making San Francisco a better place, CBS SF Bay Area reported. "I have said from the beginning, whether you voted me or not, as mayor I will be your mayor too," Breed said. She relished the message her election sends to San Francisco's youth, especially kids like herself who grew up poor. Turnout exceeded 50 percent -- unusually high for recent mayoral elections -- in a contest that was placed on the June 5 ballot after the death of Mayor Ed Lee in December. In an effort to block Breed from winning, Leno and Supervisor Jane Kim asked their supporters to pick the other as their No. 2, saying that Breed represented the status quo that had made San Francisco so inequitable. All three are Democrats. "I ask people to not attribute what I've done -my success and how hard I've worked- to not reduce that or attribute that to someone else," Breed told the AP in a pre-election interview. Earlier Wednesday, Leno, 66, told reporters crammed into his tiny print shop that he had a positive conversation with Breed and that "she is going to do a very fine job. Her success is San Francisco's success." Leno called his opponent "a remarkable young woman." He also did not rule out a future run for office and thanked voters for exceeding low turnout expectations. As for his future plans Leno said: "I have the rare opportunity to take a moment and decide what I want to be when I grow up."